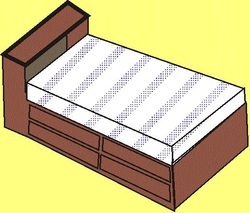 with new beds that we designed with integrated drawers. Dedication opportunities are available! Please call the office for more information at 732-364-1220.